Cloud Storage Services replacing flash drives? A decade ago, flash drives were in huge demand as the primary tool for computer users to store and transfer data conveniently.Saving files on flash drives was previously the best means of easily transferring information without having to carry around computer hardware like a PC or a laptop. At one time, the demand for flash drives was so great that many e-commerce portals like eBay and Amazon highlighted flash drive sales on their home pages.However, with the numbers of global computer users and collaborators increasing daily, it is often necessary to be able to access data from remote locations. 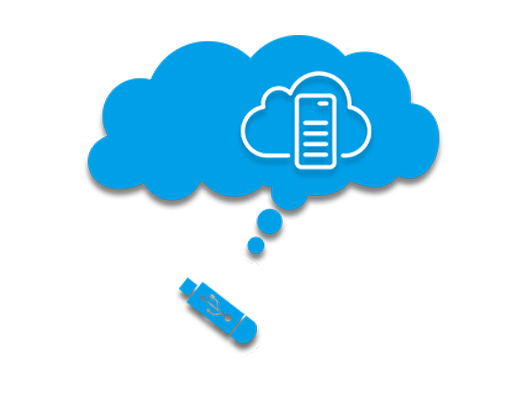 Since carrying or transporting a flash drive is not always possible or convenient, there is a rising need for modern users to be able to transfer, share, and collaborate on files virtually.The answer is the online realm of “the cloud.” In “the cloud,” users can store files in an online server and access them from any device with internet capability, including smart phones and tablets. Today’s computer users find great comfort in the way that cloud file storage enables them to easily access their files from anywhere—without the need to carry anything, not even a flash drive! The best cloud storage services include Google Drive, Dropbox, SugarSync, and Box, and these servers provide users with secure cloud storage space and the ability to view and edit files from any device with internet access. Even more, cloud storage services enable easy collaboration and file sharing.Each of these services is affordable for the general public or small businesses, even offering users a limited amount of storage space for free.Online cloud storage services are the latest advancement in file management. While flash drives were once immensely popular due to the unique comfort they offered for transporting files, today, cloud storage services offer greater ease of file portability than flash drives, and with many more benefits. By enabling users to place documents, music, movies, and other files in the virtual realm of the cloud, where they are easily accessible from any computer or device with internet access, cloud storage services have now replaced flash drives in many ways.